Warpaint members have been busy with solo/side projects lately. 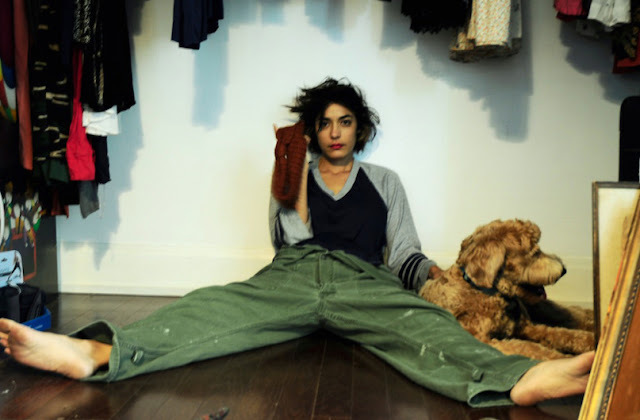 Theresa Wayman released a single with her band BOSS last month and has a solo album on the way, and Jenny Lee Lindberg releases right on!, her debut album as jennylee, today (12/11) via Rough Trade. It's not too far removed from the psychedelic and dream pop of her main band, with maybe a bit more of a moody gothy side. If you're a fan of Warpaint, you're probably gonna dig this too. Listen to the whole thing below via Spotify. Jenny plays Paris and LA this month, and then has a few dates in early 2016. No NYC date on there right now but she played NYC in November. All dates are listed below.